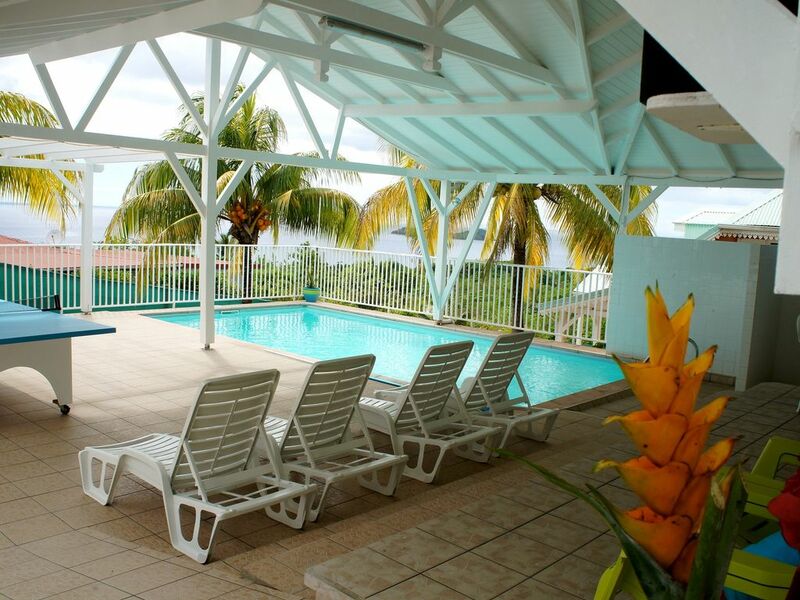 - Secure shared pool area with table tennis, deck chairs, mini library. board games, beach games. Located next to the rooms, you have use of hot water, a large shower with spa, and a storage cabinet with shelves, drawers, hair dryer. There is also a second separate toilet with hand washing. For babies and young children we free of charge: i cot, a deckchair, a bath, a pot, a high chair, a small armchair garden. Nous avons séjourné une semaine à ce gîte et avons apprécié la propreté, la localisation et toutes les commodités (douche extérieure, lave linge, piscine) pour des vacances avec jeunes enfants. Magnifique vue des îles pigeons et des couchers de soleil. Merci à Francis qui nous a bien accueilli. The nearest beach is 700 m (Anse à Sable, the second is about 1.5 km from the villa (Malendure range with the Cousteau Reserve) world famous spot for scuba diving and Beauty its seabed. The Hot Springs of Thomas seduce you with their originality. A ten Km you Museums Vanilla, Coffee and Chocolate Museum, The Udders Park with its flagship activity: tree climbing, Carbet Falls and Soufriere are about 40 km). Conveniently located near the crossing of Udders you can reach the Mainland cities of Pointe-à-Pitre, Gosier, St. Anne, St. Francis .. quickly.